1962 Origin to 1982 Southeastern Food Cooperative Association (SFCA) was founded. SFCA members were located in Southeastern U.S, with membership bordered on the west by Affiliated Foods of Dallas and the north by Richfood, Richmond, VA.
An informal group, SFCA members alternated hosting and facilitating Share Groups to share ideas and best practices. 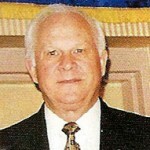 1983 Hillar Moore, President / CEO of Associated Grocers Baton Rouge is SFCA chairman. 1985 In 1985 Retailer Owned Research Company was formed as a cooperative by 19 SFCA warehouses to develop a software application. Over the past twenty-five years, consolidations, mergers, and Member-owner organizational shifts altered RORC...s makeup. A software written ...for retailers by retailers,... today RORC is installed in over 700 retail sites in 28 states. 1988 Name Change Name is changed to reflect the national scope of the organization:Retailer Owned Food Distributors & Associates (ROFDA). 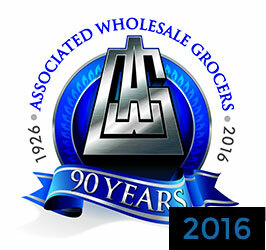 1989 New Member Associated Wholesalers Inc. Robesonia, PA joins ROFDA. 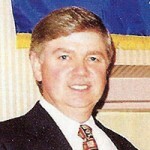 1990 Jim Morton hired as ROFDA...s first executive director. 1991 New Member Olean Wholesale Grocery Cooperative, Olean, NY joins ROFDA. Associated Food Stores, SLC, UT joins ROFDA. Ferrell Franklin hired as ROFDA Assistant Director. Piggly Wiggly Alabama Distributing Co., Bessemer AL becomes a ROFDA member. 1996 Associated Grocers New England, Pembroke, NH joins ROFDA. 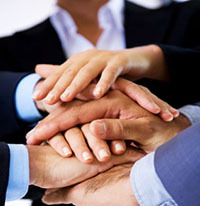 ROFDA, previously a nonprofit association incorporates as a cooperative. 2004Associated Grocers of Seattle joins ROFDA. 2007 Assoicated Grocers of Seattle merges with Unified Grocers Central Grocer, Joliet IL becomes a member of ROFDA. Associated Grocers of New England, Pembroke, NH joins ROFDA. Piggly Wiggly Alabama Distributing Co. Bessemer, AL becomes a ROFDA member. Olean Wholesale Grocery Cooperative, Olean, NY joins ROFDA. 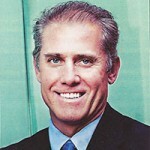 Jim Morton hired as ROFDA’s first executive director. Associated Wholesalers Inc. Robesonia, PA joins ROFDA. 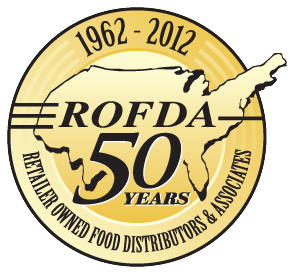 Name is changed to reflect the national scope of the organization: Retailer Owned Food Distributors & Associates (ROFDA). Hillar Moore, President / CEO of Associated Grocers Baton Rouge is SFCA chairman. Southeastern Food Cooperative Association (SFCA) was founded.